We are announce that chrome extension of the dictionary has been published. 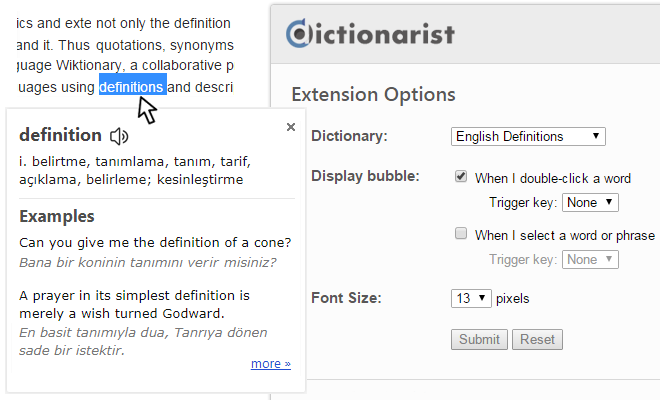 Now, you can add the Dictionarist to your browser. English, Spanish, Portuguese, German, French, Italian, Russian, Turkish, Dutch, Greek, Chinese, Japanese and Korean. It detects the root word that you clicked, in any language, so it recognize all words that inflected, and It also provides example sentences.